Wow, that interface is so awesome, do you mind sharing the addon please. Thank you # Is it working for 3.3.5? Latest fix: Make Item.dbc works properly. Depends if you want to have a new map for that, then you need to create on with Noggit. 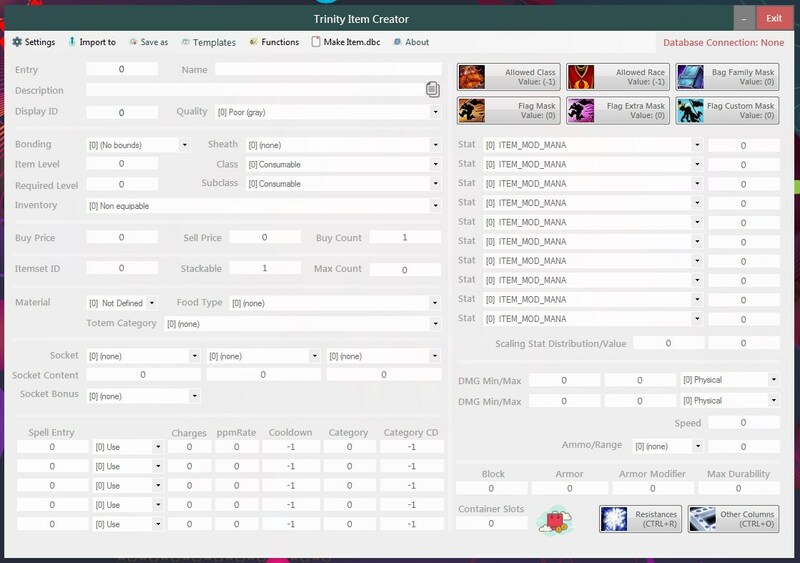 Depends on the emulator, I recommend TrinityCore with Eluna Lua Engine, easy to script. That could be the steps you need if already have your idea saved. SceneGaming.zip Contains 3 new maps made within the last month for my project but I'm still unhappy of the result and I would like to share it with the community but maybe somebody will get use of them. Notice that may contain cataclysm water in these files too. Thanks for reply, I was thinking that the road edge was cool but as I can see it doesn't really fit. Hey Thanks for your review, I'll keep t his in mind and try to improve my building skills as this was my first attempt into noggit and I was just playing a little with teverything I found in wow model viiewer. Thanks alot for the review!